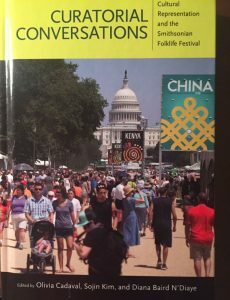 Read a review of Amy’s chapter in Curatorial Conversations. 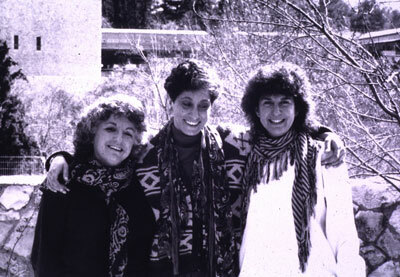 Project curator, Amy Horowitz, and the Palestinian and Israeli research directors, Suad Amiry and Galit Hasan-Rokem. Founded in 1991, Living Jerusalem is an ongoing ethnographic engagement among Israeli, Palestinian and US scholars and students. In 1991, Amy founded the Jerusalem Project under the auspices of the Smithsonian Institution Center for Folklife & Cultural Heritage. In 2001, she established the project at The Ohio State University, developing the Living Jerusalem course and study tour at a working conference with Salim Tamari, Galit Hasan-Rokem, Vered Madar, and Issam Nassar. 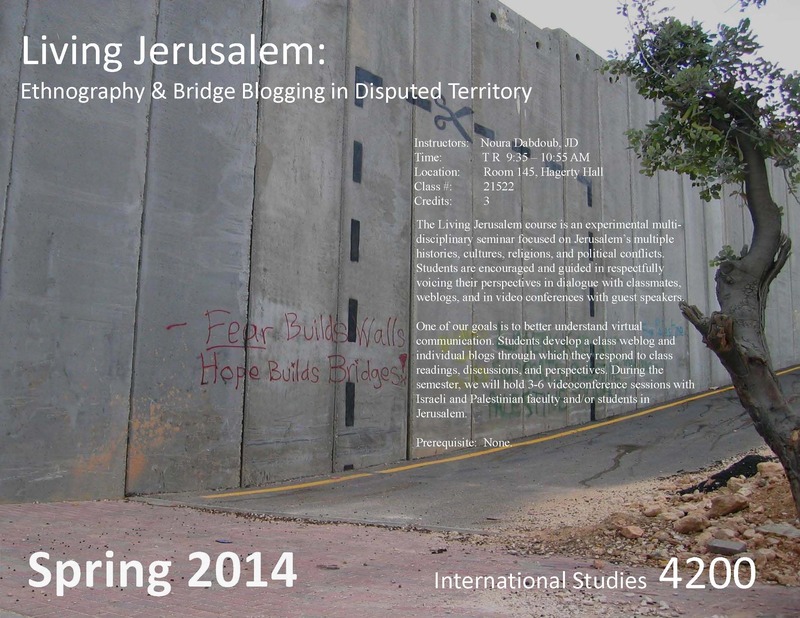 In 2012 – 2013, she taught the Living Jerusalem course at Indiana University. Currently she is working with Indiana University and Ohio State to expand the Living Jerusalem course and project under the auspices of IU’s Center for the Study of Global Change and Center for the Study of the Middle East in cooperation with International Studies, the Mershon Center, and the Foreign Language Center at OSU. The Living Jerusalem course is an experimental multidisciplinary seminar focused on Jerusalem’s multiple histories, cultures, religions, and political conflicts. Students are encouraged and guided in respectfully voicing their perspectives in dialogue with classmates, weblogs, and in video-conferences with guest speakers. One of our goals is to better understand virtual communication. Students develop a class weblog and individual blogs through which they respond to class readings, discussions, and perspectives. During the semester, we will hold three to six videoconference sessions with Israeli and Palestinian faculty and/or students in Jerusalem.